Casey Dunne has named his 19 man squad to take on Scotland this Sunday in Gormanston Park with kick off at 1PM. Paul Varga assistant coach, Sam Bashford assistant coach and Paul Cullen manager and led by the ever impressive Sean O'Sullivan, Casey's men are confident of positive performance this Sunday. With a host of experience in the squad from last year it is sure to be a humdinger of a game! Also on the back of 4 of the u19s being capped for the Irish Club side, this side have bag loads of potential with the aim to continue building each week and every game! 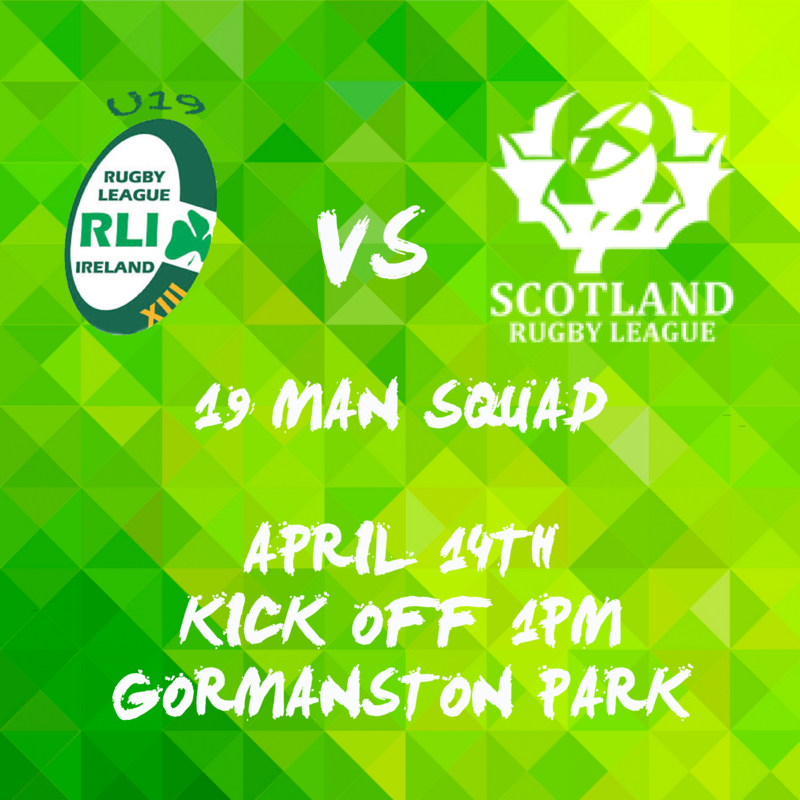 Ireland u19's take on Scotland u19's this Sunday in Gormanston Park with Kick off at 1pm!